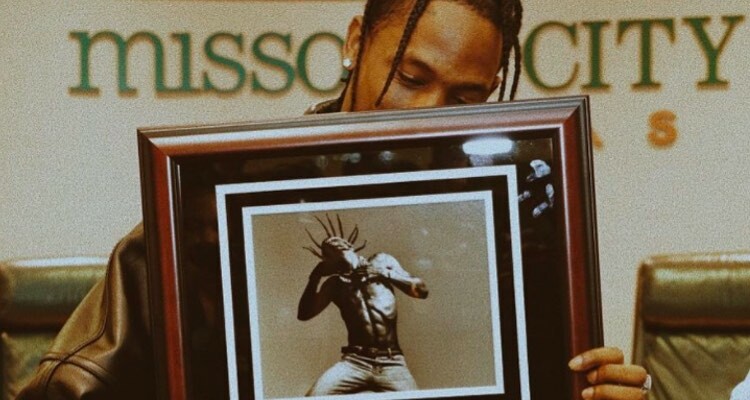 Travis Scott Is Given the Key to His Hometown of Missouri City, TX — Says It's the Best Award He's Ever Received - Pop It Records - NEW MUSIC EVERYDAY! Jacques Webster — better known by his stage name Travis Scott — was born in Houston, Texas, but grew up in nearby Missouri City. He embarked on his musical career at the age 16 as a record producer, focusing on hip hop production. Fast-forward to the present, and Webster is already looking back on an illustrious musical career. 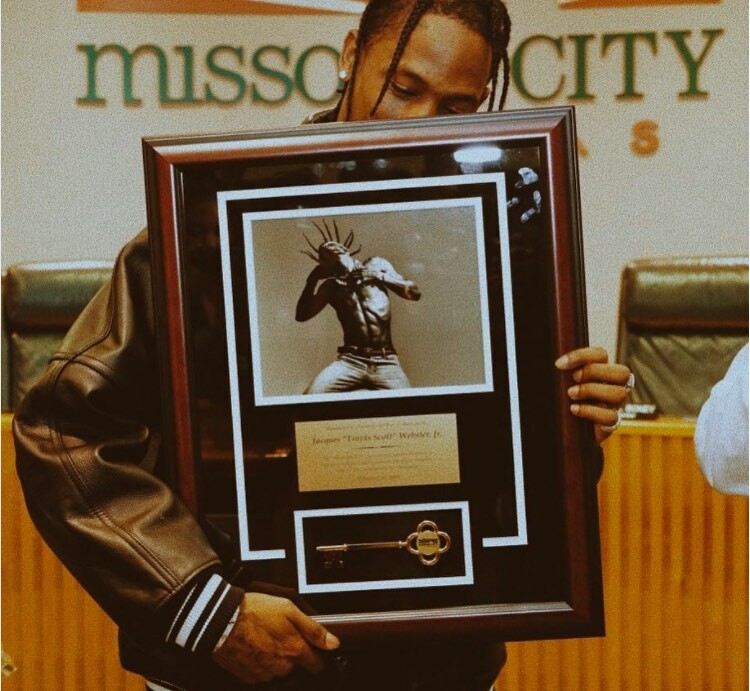 Just recently, Missouri City mayor Allen Owen awarded the keys to the city to the rapper to honor their hometown hero. Houston Rockets guard James Harden attended the ceremony and took the stage along with Scott and his family. Harden appeared in Scott’s “Way Back” video. “This place right here gave me all my ideas,” Scott continued. “It’s still the driving focus what I’m doing now in music and design and whatever I’m doing. The rapper, singer, songwriter, and record producer’s first full-length project Owl Pharoah was a self-released mixtape. A second mixtape, titled Days Before Rodeo, followed. By 2015, his debut studio album Rodeo was released, the first several lauded releases. The ceremony was held on February 10th. Accordingly, that date is now ficially recognized as ‘Travis Scott Day’. Incidentally, Travis also welcomed fatherhood on February 1st. He and Kylie Jenner recently welcomed their baby girl, Stormi.